This football cookie cake post has been sponsored by M&M’s and Snickers. All thoughts and opinions are my own. 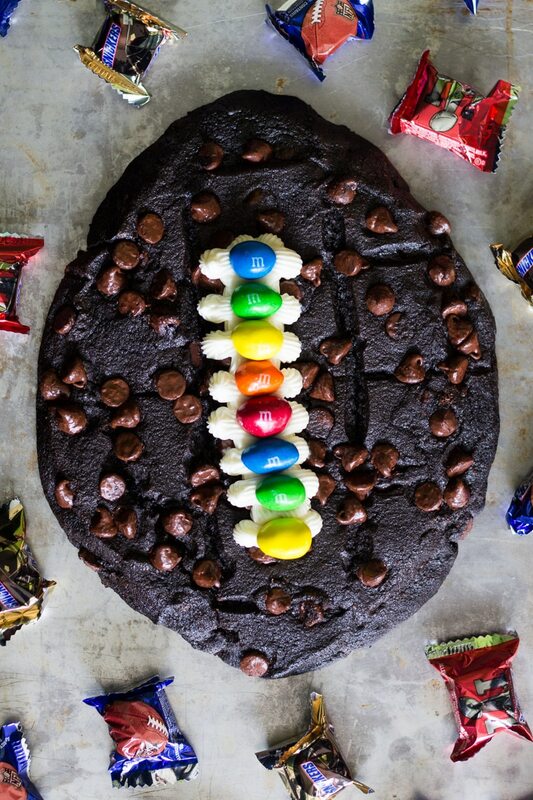 Made with chocolate chocolate chip cookie dough, vanilla frosting, and M&M’s, this fun football cookie cake is very easy to make and perfect for parties. I grew up in a football family. On Thanksgiving, there was an inevitable football game in the grassy area below my paternal grandfather’s second story condo. Dad, cousins, and uncles gleefully ran around, knocking the fallen leaves into the air. One of my fondest memories is when my dad, stepmom, and I went to a real, live football game held far away from home in a huge stadium. Our seats just happened to be smack in the middle of the home team’s supporters—our sworn enemies—and they gave us very odd looks every time we cheered at the “wrong” moment. I got a personal pizza from the concession stand and was as happy as a kid could be. Somehow, food and football have always gone together. For that reason, I find it natural to associate the big game with intriguing platters and bowls of tasty goodies. I’m even going to dress up my football cookie cake with some M&M’s Peanut candies for a colorful touch. 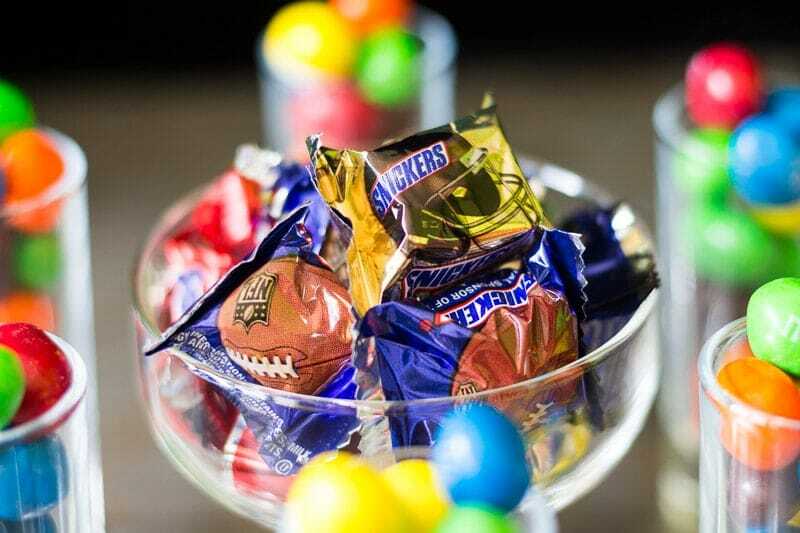 Plus, I’ll show you a fun party game you can play with the Snickers NFL Minis you can also find at Target. There’s no better way to celebrate football season than this! You can also pack up your goodies to go. 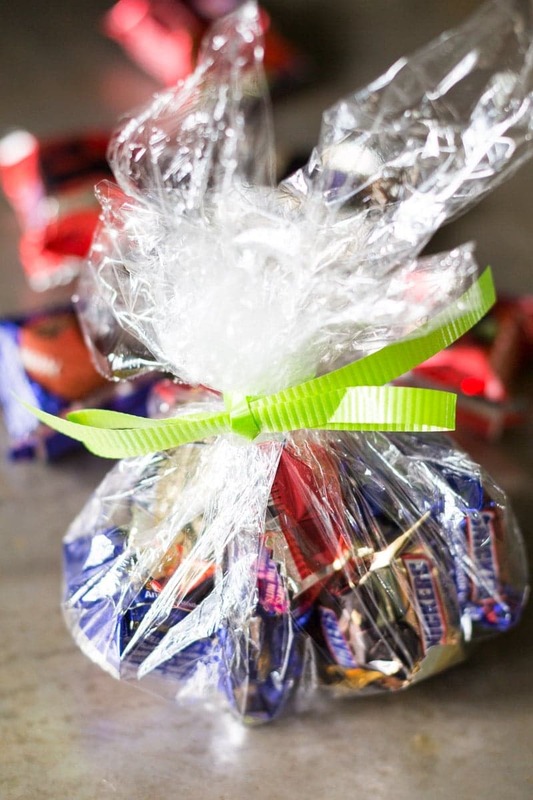 Use plastic wrap and a little ribbon to make individual treat bags for tailgating. 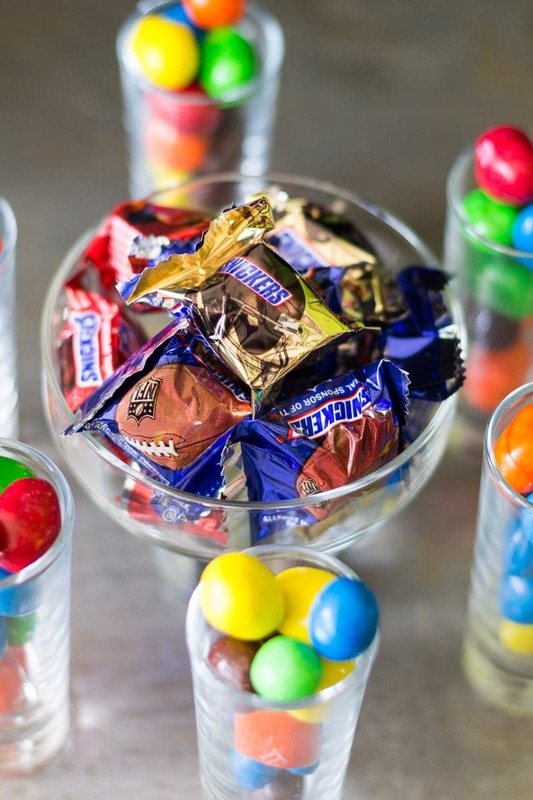 Since the candies are so colorful and pretty all on their own, I like to use clear glass serving bowls. I also repurpose small shot glasses so that guests can take individual servings of M&M’s Peanut candies. To play the party game I mentioned, you’ll need 4 crayons and 1 Snickers NFL Mini “football” for each person. 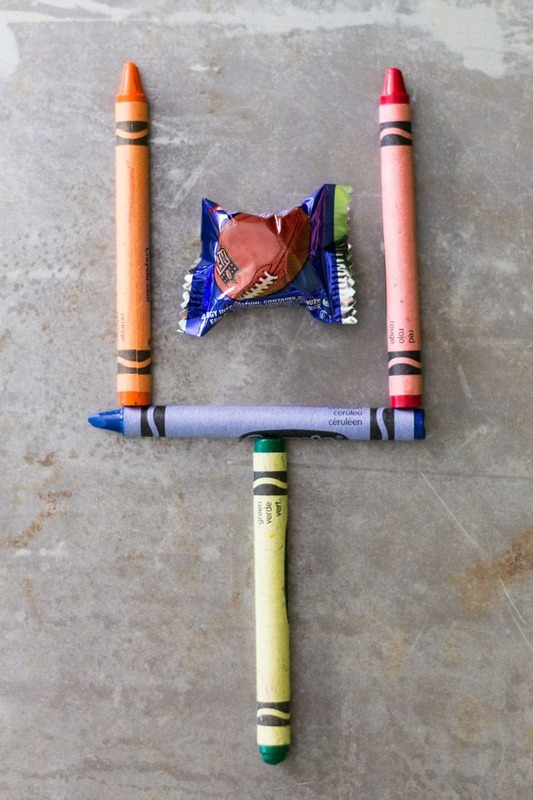 Align the crayons to form a football goal shape with the Snickers NFL Mini in the middle of the goal post. The challenge is to move only two crayons in a way that re-creates the entire football goal in the same shape, but with the Snickers NFL Mini sitting outside of the goal posts. 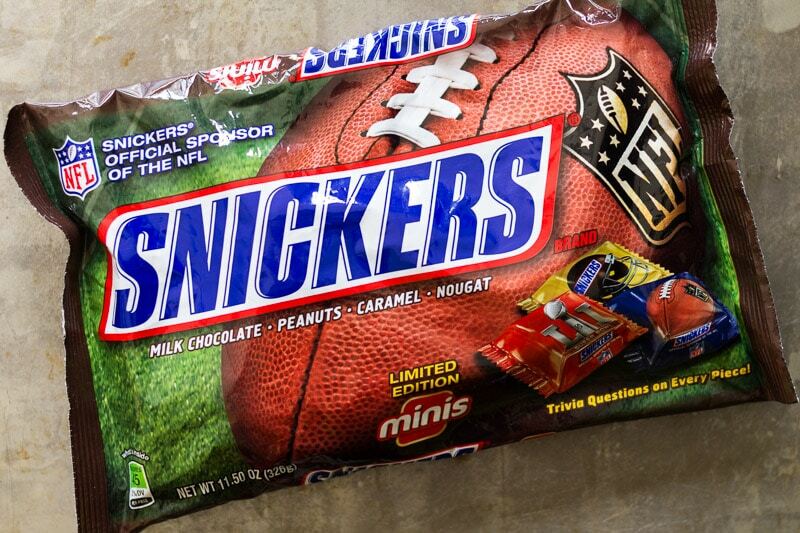 (You can’t move the Snickers NFL Mini.) Can you do it? Line your baking sheet with parchment paper for easy release and cleanup. Chocolate chocolate chip cookie dough looks most like a football (because it’s brown, of course), but don’t let that stop you from choosing another flavor you like better. If you have time, you can easily make your own frosting by beating 1/4 cup room temperature unsalted butter with 2 cups powdered sugar (added a little at a time to the butter, then beating before added more). Add 1/2 teaspoon of vanilla extract and a pinch of salt for flavor. 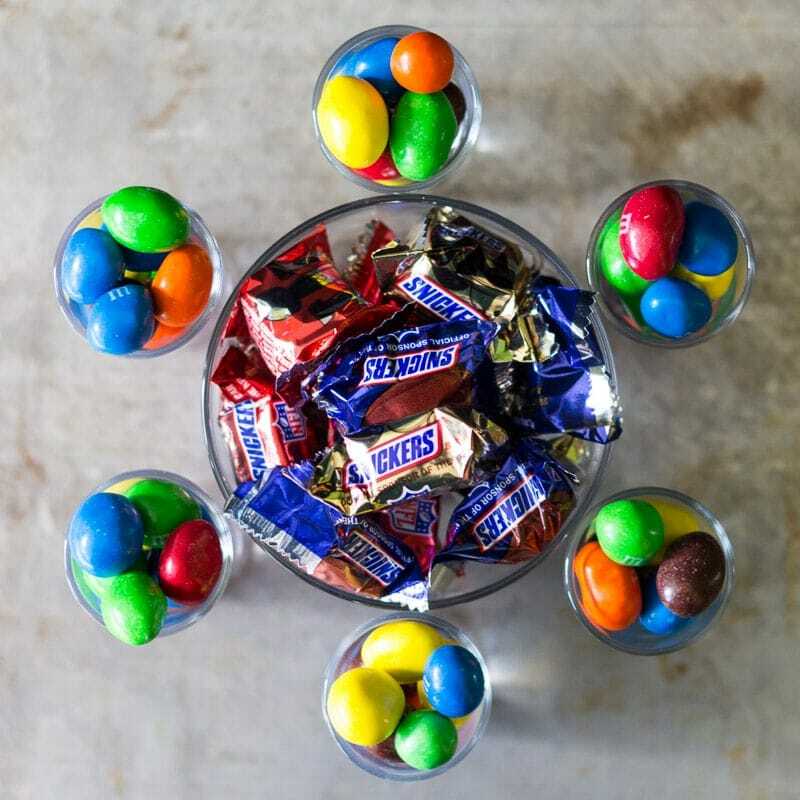 Choose your M&M’s Peanut candy decorations according to your team colors. Made with chocolate chocolate chip cookie dough, vanilla frosting, and M&M's, this fun football cookie cake is very easy to make. Form the cookie dough in the shape of a two dimensional football about 1 inch thick. Bake for 18 to 20 minutes. Let cool completely before decorating. 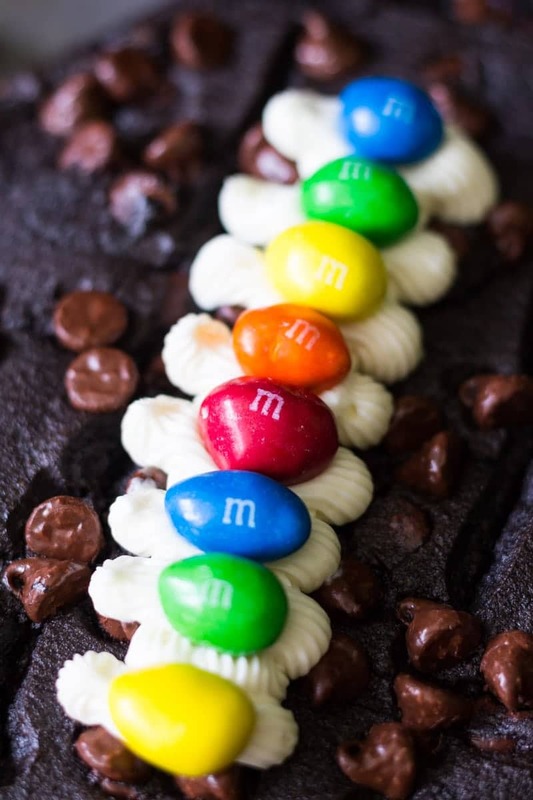 Use frosting to draw football laces, then add M&M's peanut candies on the frosting. Serve. 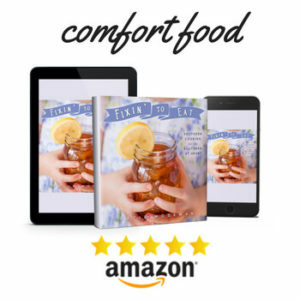 Nutrition information is approximate. 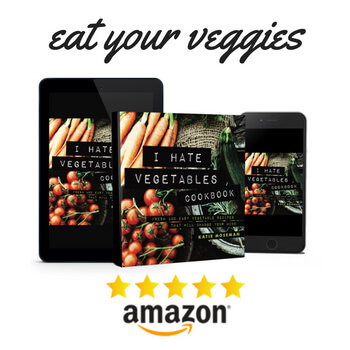 Please consult a nutritionist if you have specific dietary needs. 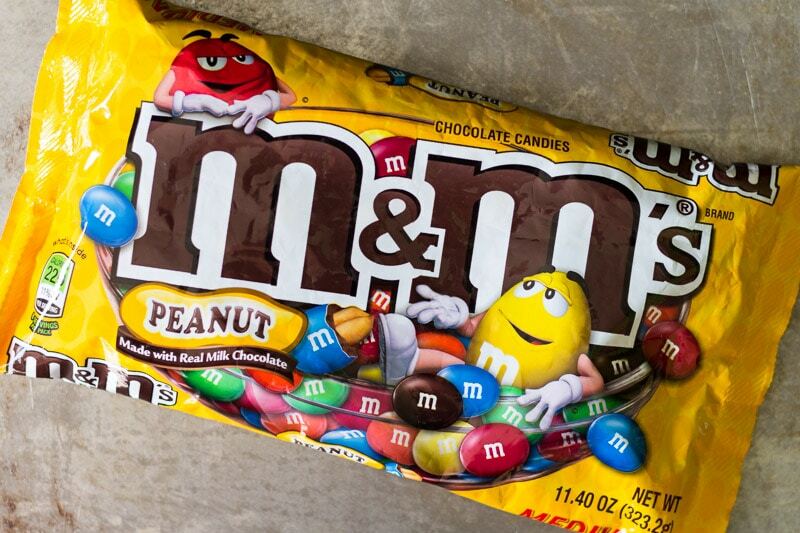 Find all the best football party supplies, like M&M’s Peanut and SNICKERS NFL Minis, at Target! I love this cake-cookie!!!! I’d even watch sports if this was being served. Food and football certainly do go together. I love seeing ideas of anything with chocolate, as I must admit to being a chocoholic. Loved your photos as it really made my tummy rumble. That is a great idea for a game day dessert! My kids made a cookie-cake years ago, and they thought it was the best thing. This would be a lot of fun to make together, plus it is so easy to do. The theme colors with the M&Ms are super cute too! This is so creative! 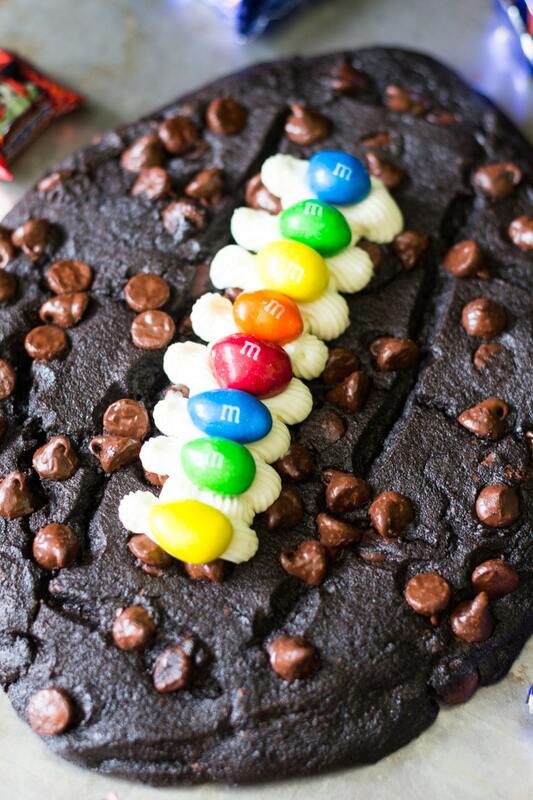 I’ve been trying to think of treats for game day… this is one that’s so worth making! That football cake is amazing! WE are having a Big Game party at work in a few weeks. Thinking I will make this for the dessert table. I know it will be a hit with everyone. 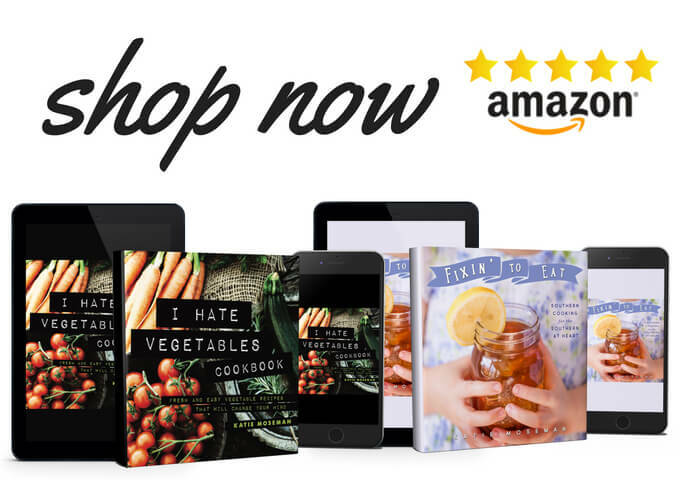 Thank you for the great ideas! SO many treats for this time of the year! Oh my goodness! 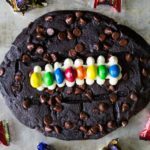 That football cookie cake of yours will be a hit with my boys! We are a sports loving family and would not miss watching a football game. Of course, there will always be food and I’d make your football cookie cake for dessert! Now this is super cute. I love how it turned out. What a fun conversational piece for a party. This is a cute idea. I love using candy to make recipes, especially snickers. I love a good tasting cake but even better is making one look like this one does. This will be perfect for my super bowl party where I hope the Cowboys will be on the tv. a giant chocolate chip football? with m&ms? can i come over to your place for the superbowl? haha! i love your cake idea – so unique. It’s always fun to be creative and make something that will satisfied everybody’s sweet tooth. I love how you decorate the cake and it looks like you use ingredients that are easy to find in a local store. I am ready for the next Football party at home with family and friends.